Compensation for city hospital executives and doctors climbed in 2017 for the fourth straight year. Hospital employees had to earn more than $2.1 million to rank on Crain's lists. The most notable increase came at the top of the executives list: Dr. Kenneth Davis, Mount Sinai Health System president and chief executive, took home nearly $12.4 million in cash compensation—the most any executive had received in five years. For Davis, who had earned nearly $4.1 million in each of the previous four years, the rise was a one-time deal. He collected a supplemental executive retirement plan benefit of $8.3 million, a retirement fund that "reflects his 40 years of service," a Mount Sinai spokeswoman said. Ranking in the top five with Davis were several CEOs who regularly make Crain's top executives list. New York-Presbyterian's Dr. Steven Corwin ranked second, taking in $7.3 million, while NYU Langone's Dr. Robert Grossman, RWJBarnabas's Barry Ostrowsky and Montefiore's Dr. Steven Safyer all earned around between $5.4 million and $5.7 million in cash compensation. Read the full list on pages 12-14 in the print edition of Crain's New York Business. On the physician side, controversial Lenox Hill urology chair Dr. David Samadi topped the ranking of practitioner salaries by taking home nearly $6.8 million in cash compensation in 2017. He was immediately followed by four department heads at Catholic Health System of Long Island facilities: St. Francis Hospital's Dr. Joseph Levine and Dr. Richard Shlofmitz, and St. Charles Hospital's Dr. Sathish Subbaiah and Dr. Morgan Chen. Not all hospital employees stay in their role long enough to make it onto Crain's rankings annually. There are six new doctors and seven new executives in this edition. The appearance of one new executive will be short-lived: José Baselga (No. 24) resigned in September from his post as Memorial Sloan Kettering's physician-in-chief and chief medical officer. Baselga stepped down after an investigation by The New York Times and ProPublica revealed that his financial ties to the drug industry were rarely disclosed in his research articles. The oncologist and researcher had lucrative corporate relationships with pharmaceutical giants Bristol-Myers Squibb and Roche as well as small biotech startups investigating new cancer therapies. Baselga's place on the top-paid executives list may be tenuous, but he has landed on his feet. In January AstraZeneca named him executive vice president of research and development in oncology—a role the European drugmaker created in order to expand its research in cancer treatments. 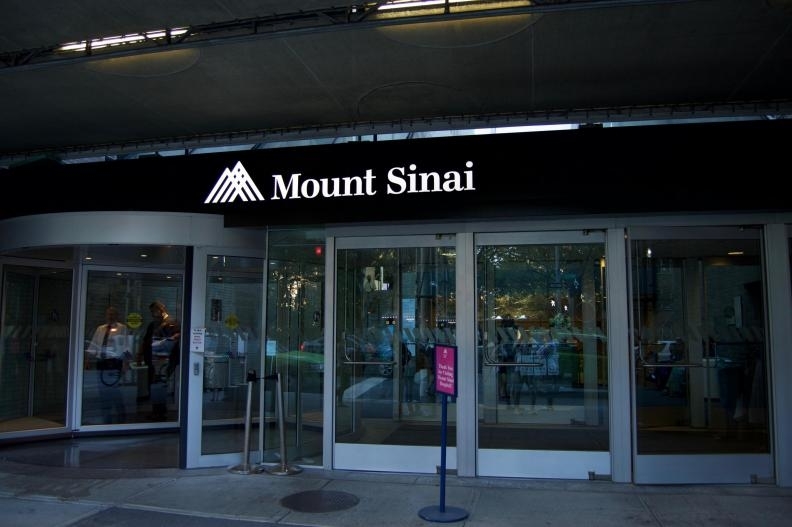 "Retirement plan payout boosted Mount Sinai CEO's pay above $12 million in 2017" originally appeared in Crain's New York Business.